Dow Jones Today, Sept. 24, 2014: The Dow Jones Industrial Average soared 154 points Wednesday as U.S. markets posted their largest gains in five weeks. Federal Reserve Bank of Chicago President Charles Evans urged the central bank to be "exceptionally patient" when deciding a timeframe on increasing interest rates. 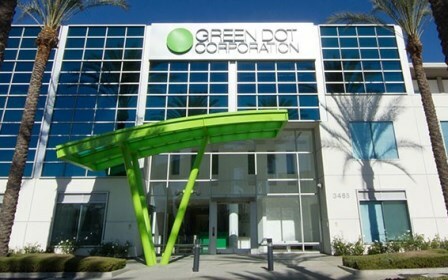 Wal-Bank: Shares of Green Dot Corp. (NYSE: GDOT) shot up more than 24% on news that the company is partnering with Wal-Mart Stores Inc. (NYSE: WMT) to offer low-cost checking accounts to retail customers. The companies plan to offer a low-cost alternative to traditional bank accounts, including zero fees for overdrafts or bounced checks. Shares of Wal-Mart were up nearly 2% on the day. Back to Life: The housing market continues to show signs of life as August sales of new U.S. single-family homes hit their highest point since the onset of the financial crisis. Despite the positive data, a continuation in strong housing data will face its challenges, as younger Americans are still dealing with high student loans, sluggish unemployment levels, and other financial challenges, all which are hindering millennials from being able to afford their own homes. Despite positive housing data, shares of builder KB Home (NYSE: KBH) tumbled more than 5% on the day after it reported it had missed quarterly earnings expectations. A Tale of Two IPOs: It was a banner debut for Israeli-cybersecurity company Cyber-Ark Software Ltd. (Nasdaq: CYBR), which was the Nasdaq's top performer on the day. The company opened at $25 and continued to rise, a massive premium from its IPO price of $16. Meanwhile, shares of Citizens Financial Group Inc. (NYSE: CFG) were up 7% on today's debut to close at $23.08. The U.S. subsidiary of Royal Bank of Scotland Group Plc. (NYSE ADR: RBS) raised $3 billion during its IPO. However, shares were priced at only $21.50 on Tuesday, below their initial expected range of $23 to $25 each.